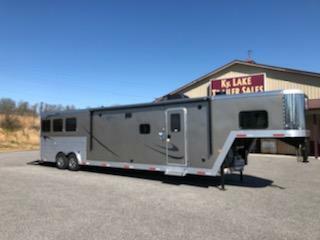 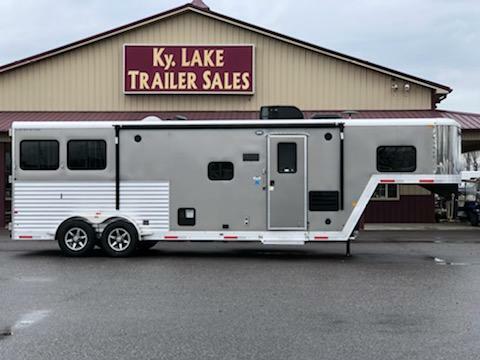 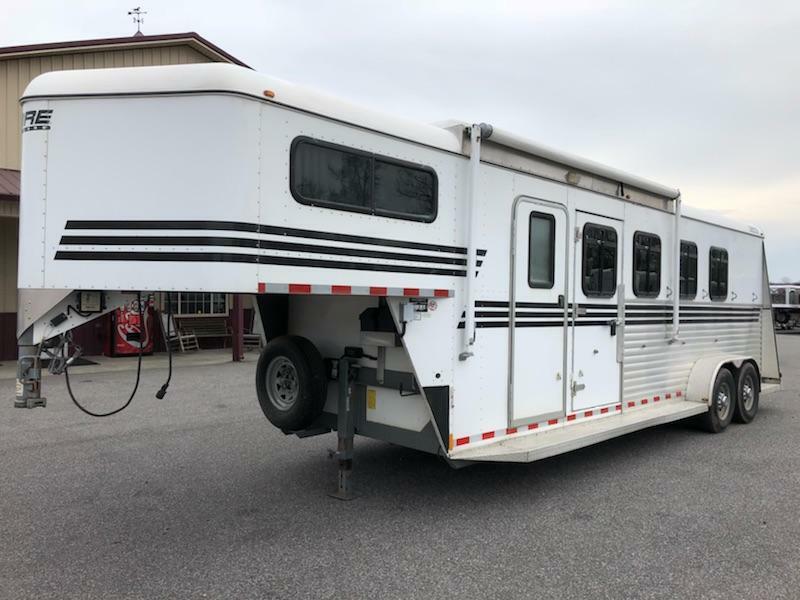 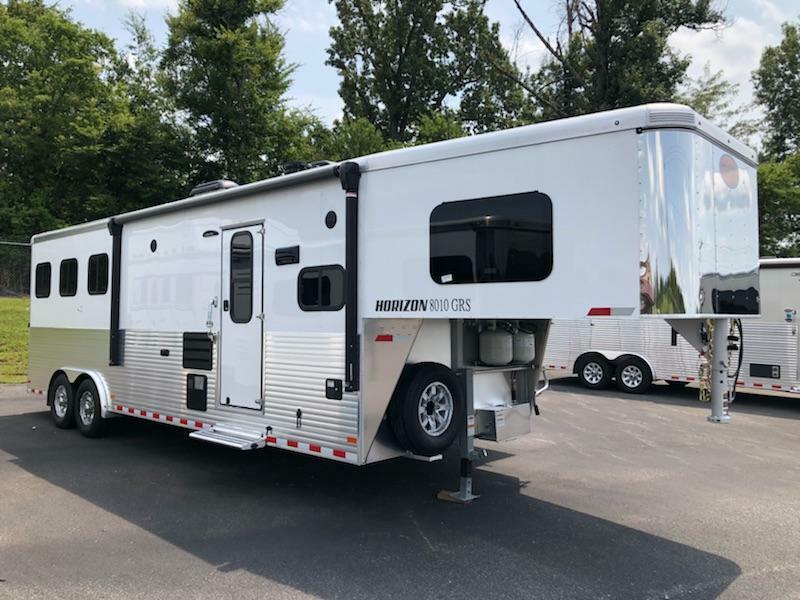 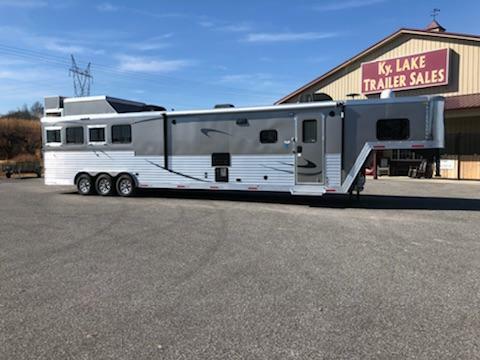 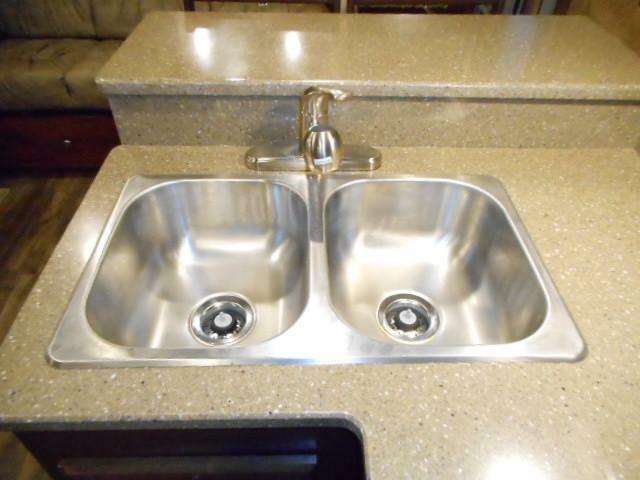 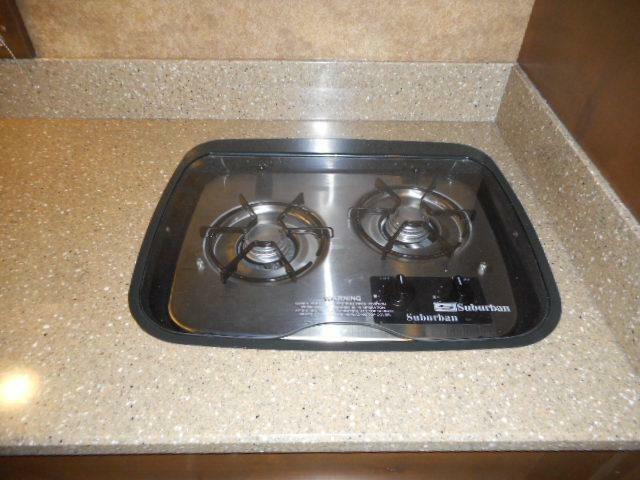 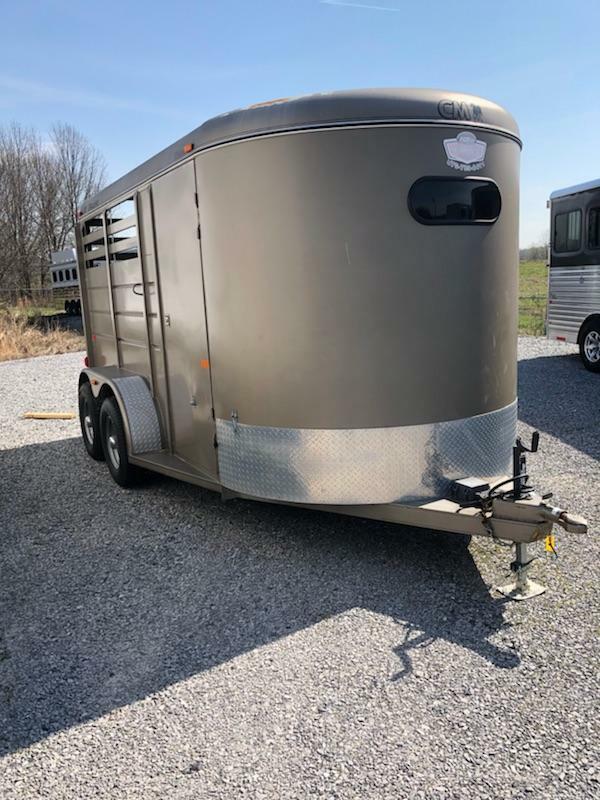 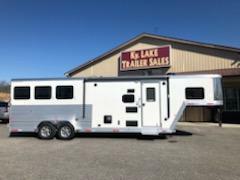  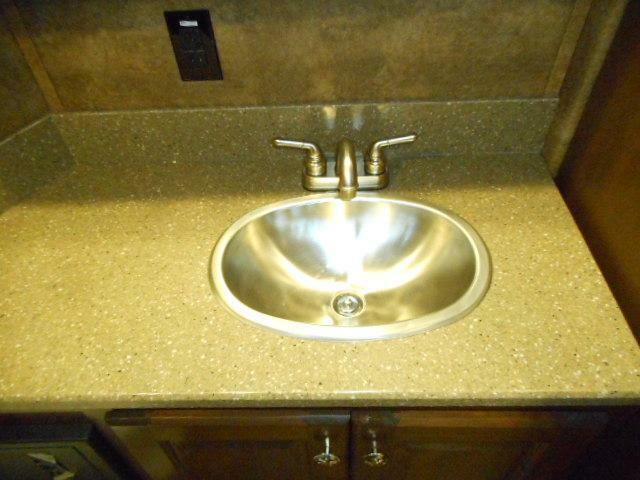 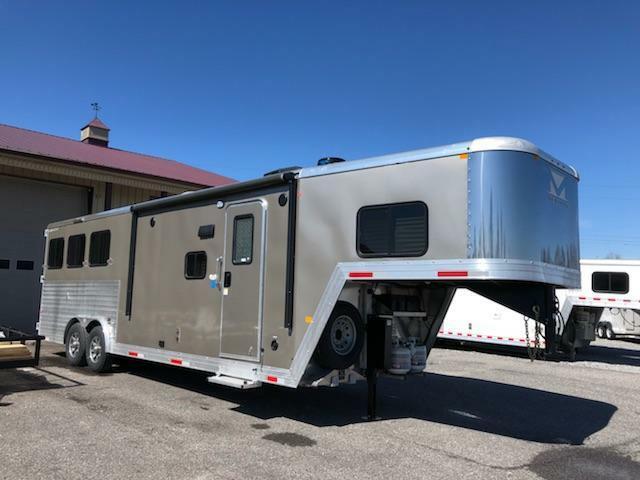 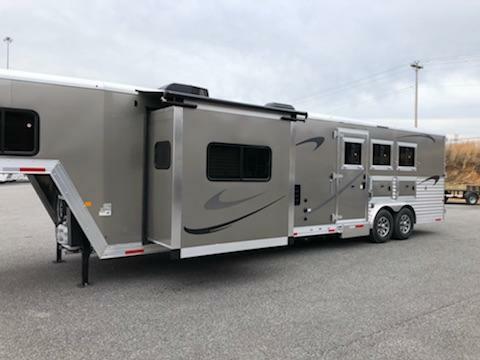 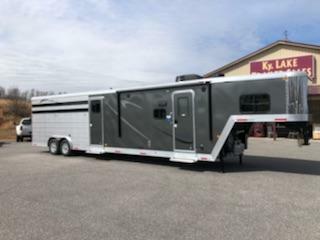 This 2019 Merhow 8316 RWS-B is a 3H trailer that is light pewter in color with extruded aluminum at the stall area and a charcoal and silver graphics package, dual hydraulic jacks, power awning with LED strip underneath, dual batteries, dual jack control switch, aluminum wheels, and staniless steel nose. 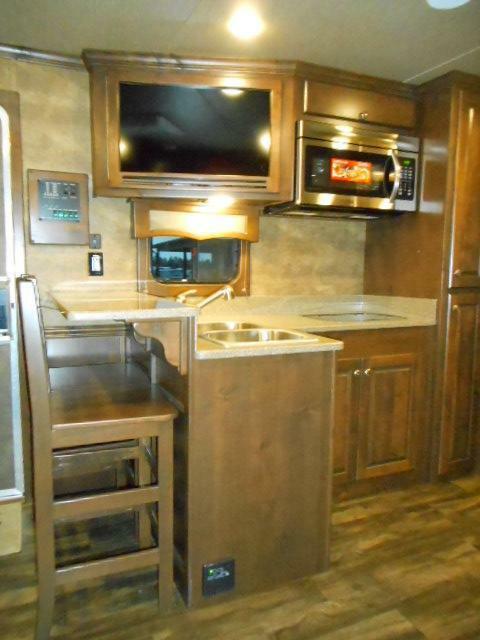 The living quarters has a soft touch entrance door, solid surface countertops, dinette bar galley with 2 high back barstools, sofa, dinette, deluxe light package, soft touch walls, soft shades, hardwood valances, innerspring mattress in GN, 32" LED TV with swing arm, convection oven, satellite inlet, stereo/DVD player with bluetooth capability, external marine speakers, TV antenna, recessed cooktop, 6 cu ft fridge, A/C ducted with heat strip, 19,000 BTU ducted furnace, and savanna cherry on alder hardwood cabinetry throughout. 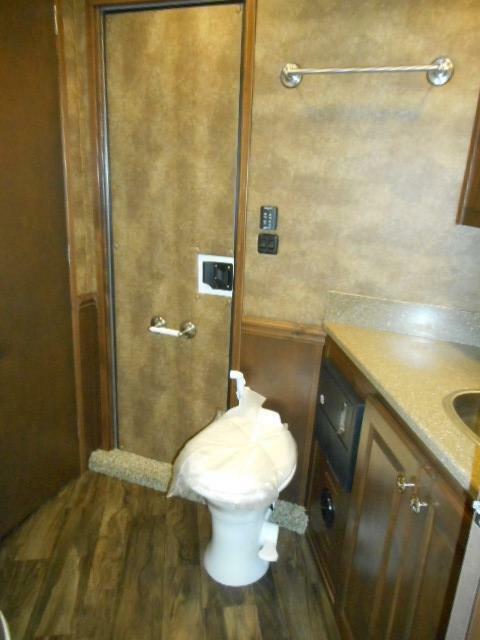 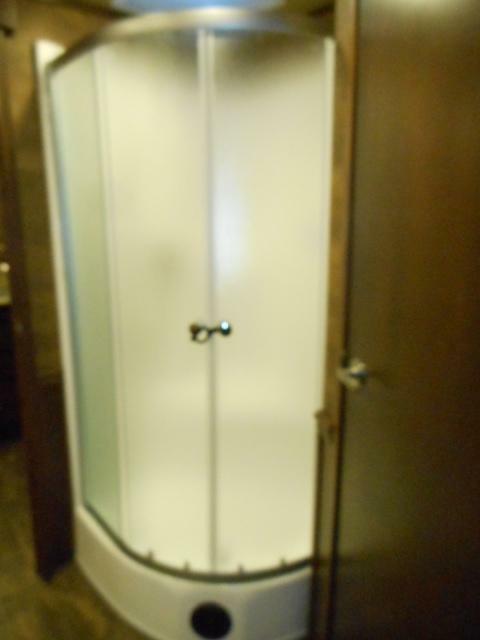 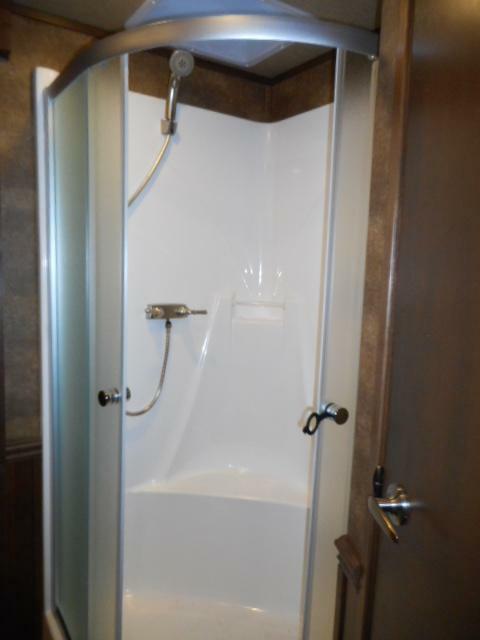 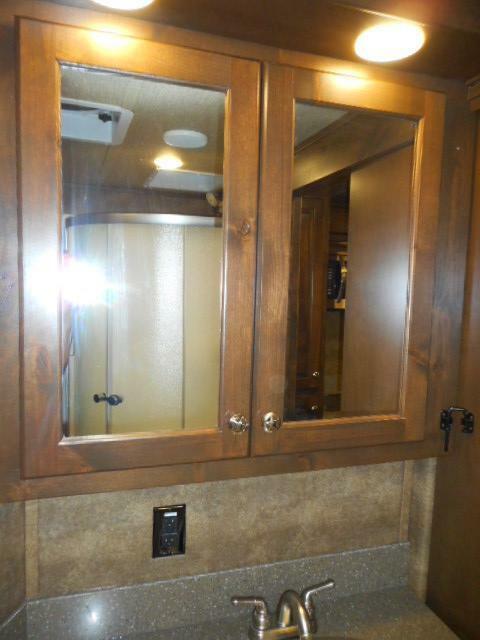 The bathroom has a shower with glass door and a skylight, vanity with sink, poecelain toilet, 3 way switch and walk through door to the horse area. 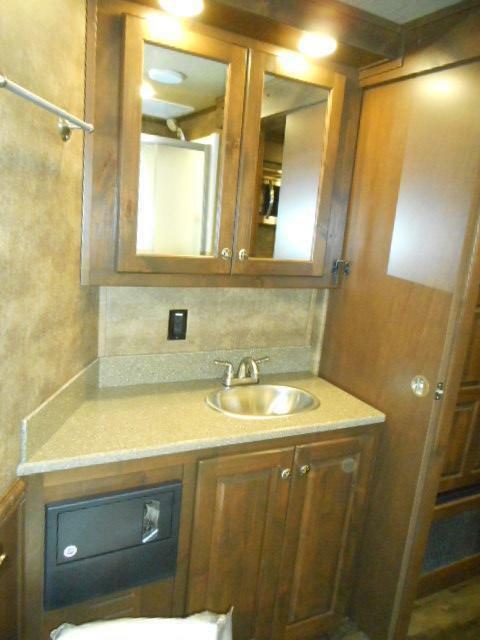 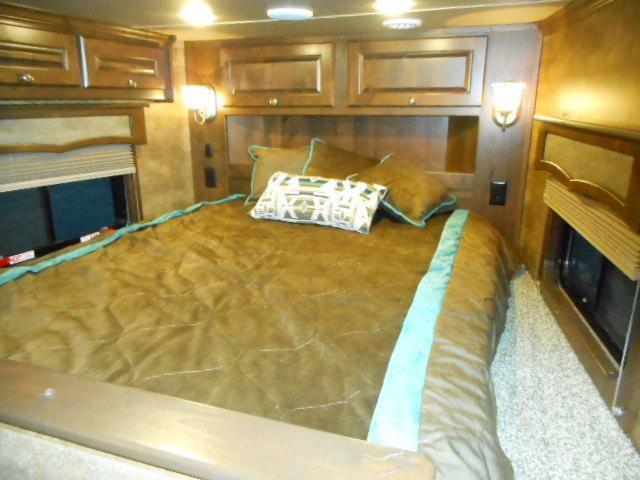 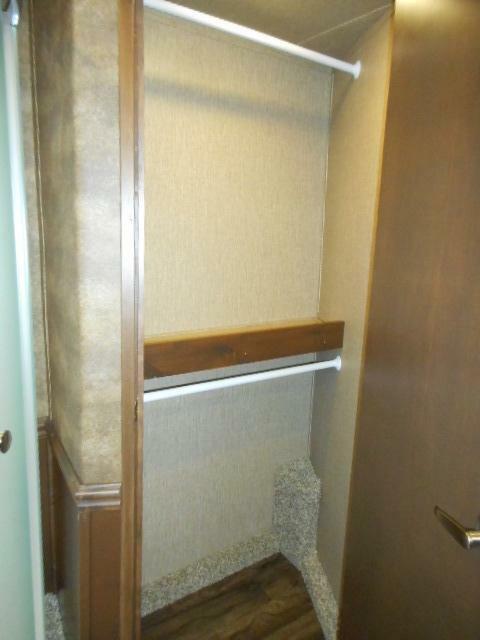 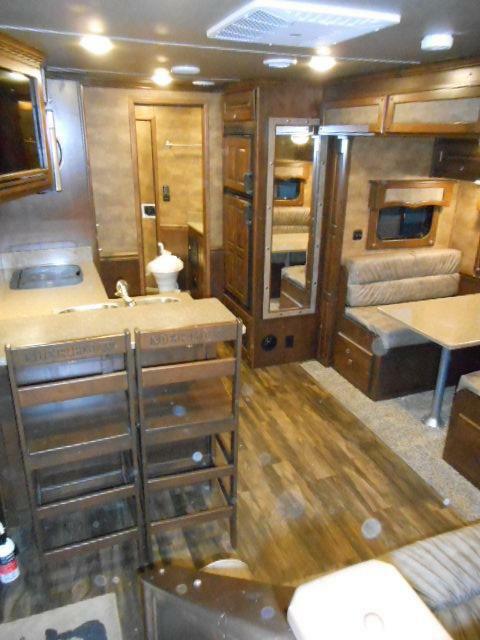 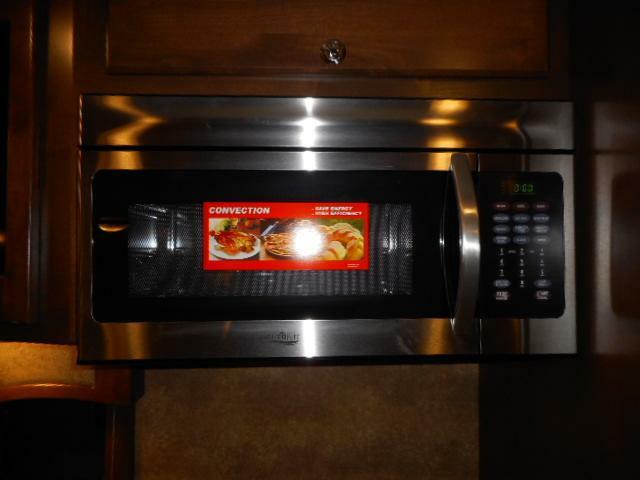 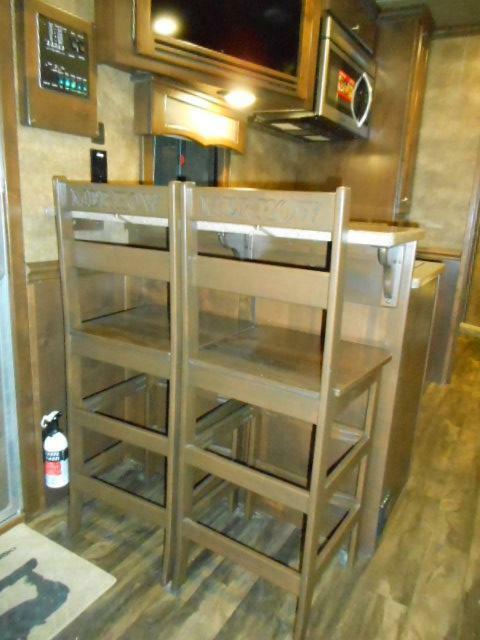 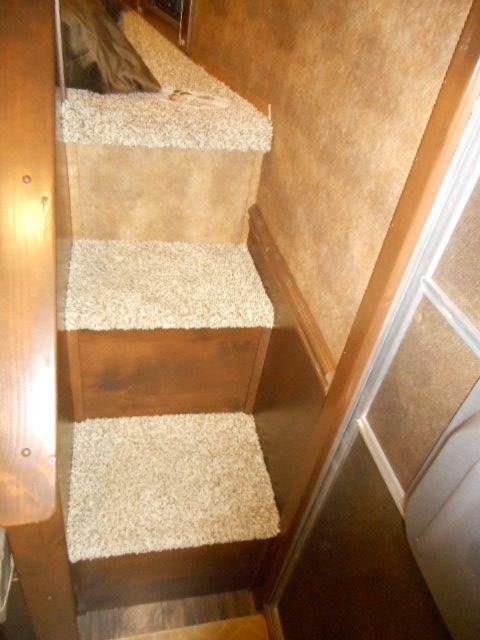 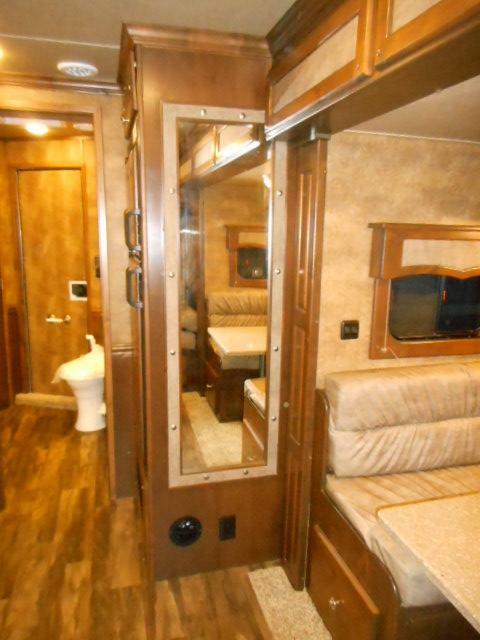 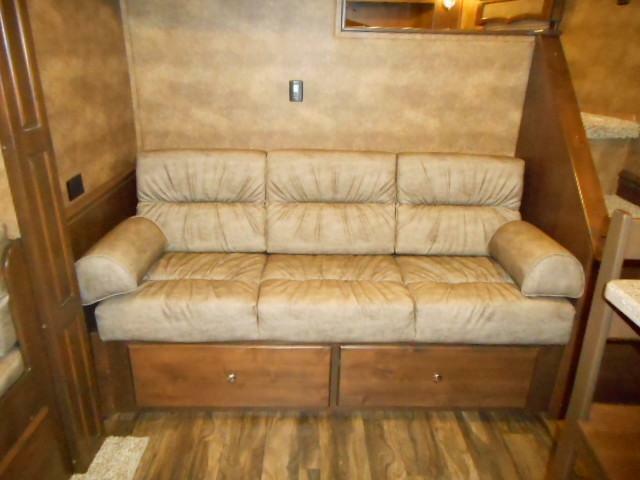 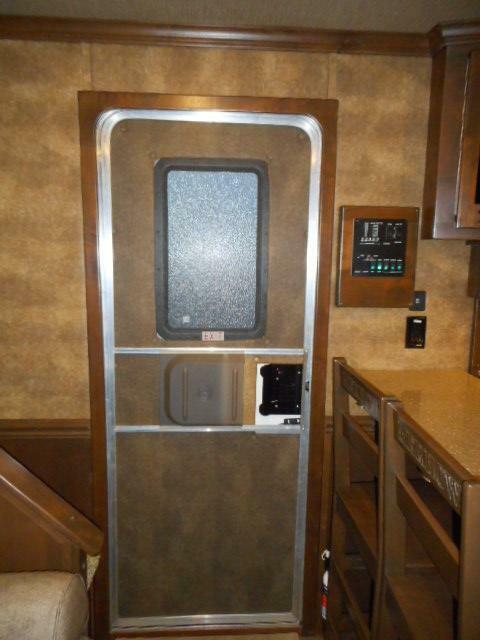 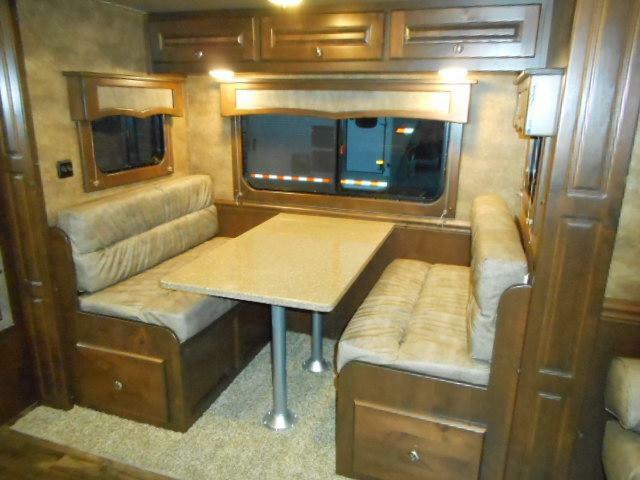 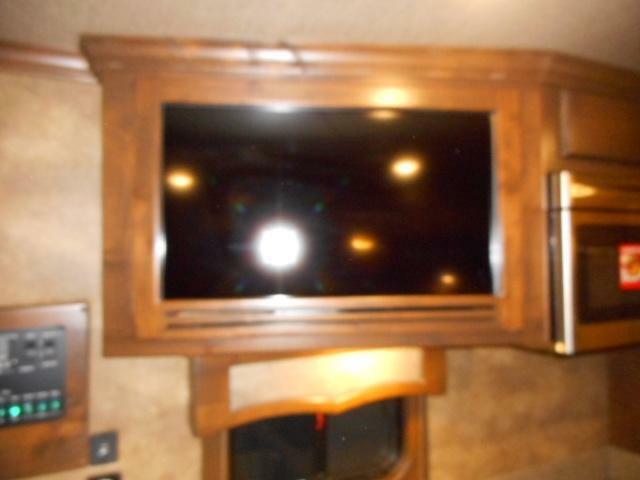 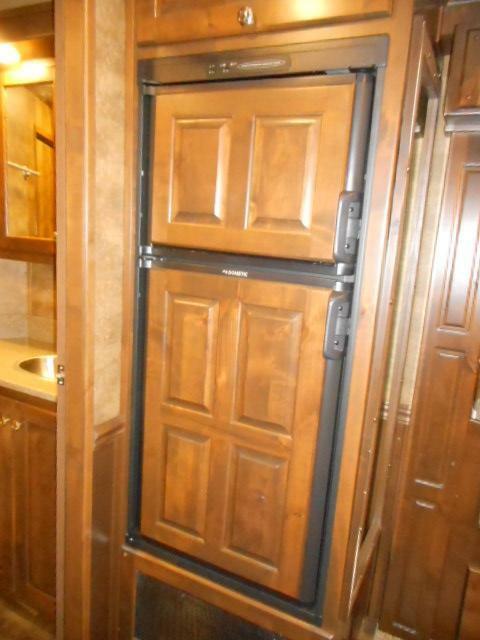 The horse area is lined and insulated and has a stud divider and escape door in the first stall, mangers, drop down windows on head, interior horse lights, 2 load lights on seperate switches one on each side, 4 additional clearance lights, flip up camper step at escape door, , and rear tack with 3 blanket bar. 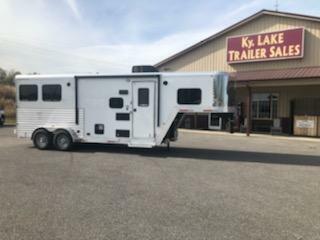 This one won't last long once it hits the lot. 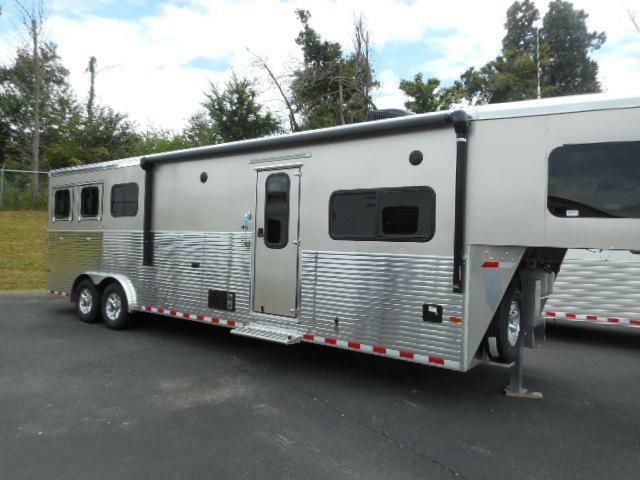 Exterior pictures coming soon!